A new demon appears, one linked by blood and secrecy to Mortmain, the man who plans to use his army of pitiless automatons, the Infernal Devices, to destroy the Shadowhunters. Mortmain needs only one last item to complete his plan. He needs Tessa. When this gorgeous book arrived on my doorstep, I was torn between two urges. Part of me wanted to immediately devour every word while the other part told me to pace myself. 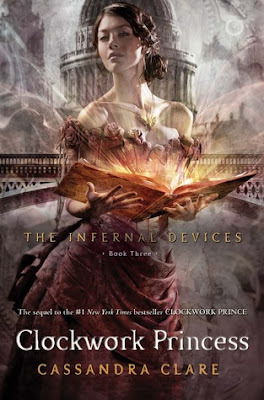 Not only is this the conclusion to the Infernal Devices Trilogy, but it is also the only new Cassandra Clare book I will read for months. I needed to savor every detail. So, everyone knows the main question this book needs to answer: who will Tessa end up with? Will she choose to be with the passionate, brooding Will? Or will she stay with her loving, sweet Jem? Fans across the blogosphere speculated as to how Clare could whip up a happy ending for everyone. Although I'm a pretty strong Team Will supporter, I couldn't imagine Tessa breaking Jem's heart. I had no idea how Clare could end the series in a way that would satisfy me. Now, I'm having a truly tough time discussing the novel without revealing any spoilers. Let's just say I think most fans will be surprised by the twists Clare throws at them. Be prepared to have your heart torn clean in two. The relationships between each and every character will have you dying on the inside, if you're as invested in this series as I am. As I've said so many times before, I adore Cassandra Clare. The woman is a genius. Her characters are some of my favorite fictional people of all time. They are honest, witty, and wonderful to read about. I can never get enough of her writing, whether it's making me laugh uncontrollably or suppress the urge to gasp out loud. The epilogue, my god, the epilogue. I cannot even put my emotions into coherent sentences. I'm trying my very best not to spew fan-girly nonsense all over this review, but it's difficult to contain such sobs/squeals. Few books have ever made me teary eyed, but I came this close to shedding a few tears over the powerful, moving ending. Trust me, that's a big deal. I had to sit back for a full 24 hours before I could even consider writing a review. Even now, I'm not entirely sure how I feel about everything. 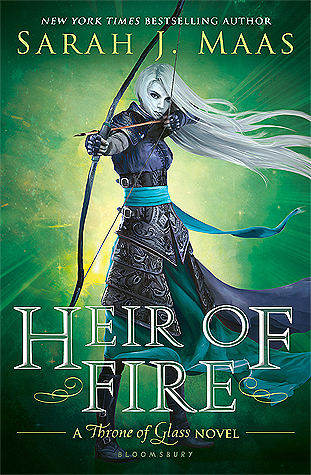 I kind of think it was the best ending Clare could have decided upon, but a huge part of my heart is still screaming "NOOOOO BUT *insert name of a boy who shall not be named here*." Gosh, my heart was just a big, tangled, emotional wreck. I only had one little problem with this book. I would share it with you guys, but I don't want to spoil anything. I lost a little respect for two of the main characters, and even now I can't get over how much I disliked that one scene. Still, Clockwork Princess is an amazing conclusion to a fantastic series. I can't believe it's over. After waiting months and months for this final installment, I felt like it was finished too quickly. I will treasure these characters for years to come, and I will always have fond memories of this heart-breaking series. If you've been reluctant to pick up these books, do so now. I promise you won't regret it.